I am visiting my mom this week, and I we’ve been enjoying her fermented raw garlic that has been preserved in Bragg’s apple cider vinegar, which we recommend via our Amazon affiliation. 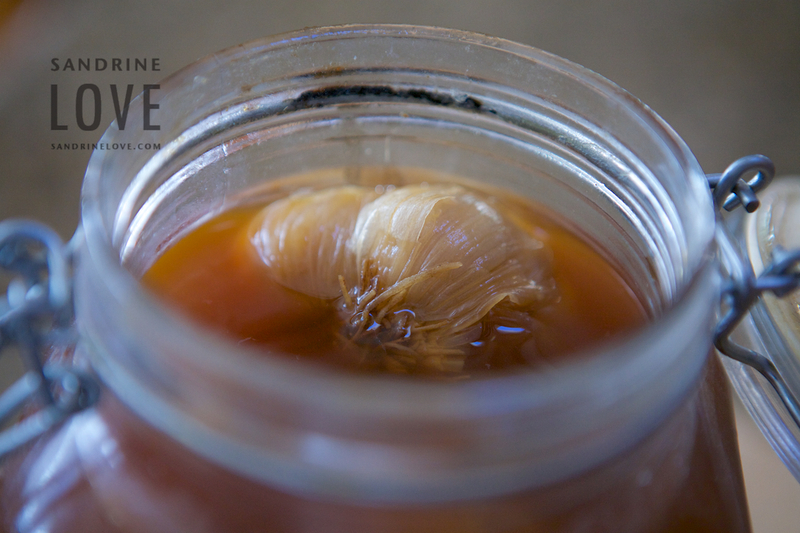 I photographed the fermented garlic after it had been sitting out at room temperature for 2 years! I think you can certainly still call it fermented. 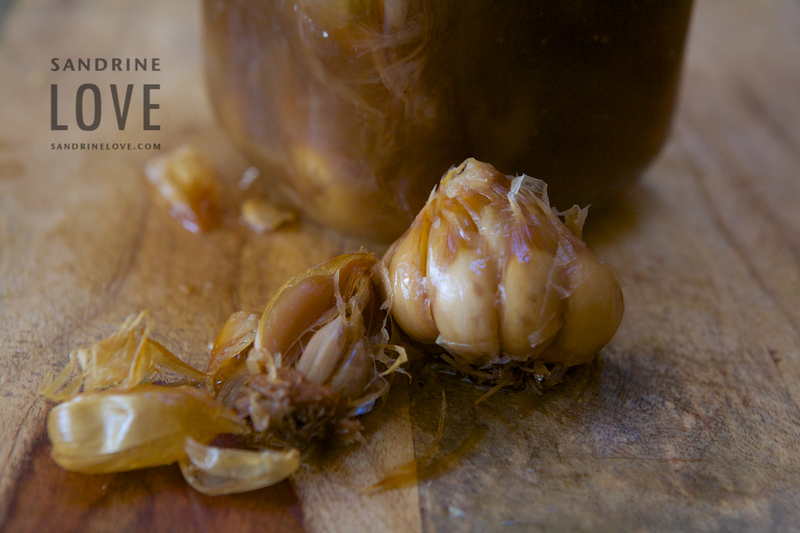 The bacteria and yeast will ferment the garlic and you’ll have an amazing batch of garlicky goodness! Raw garlic has been recognized and utilized for its flavor and for its health benefits for millennium. Raw garlic is said to serve as a potent immune booster which can prevent the common cold. Garlic is considered an effective natural antibiotic that kills certain pathogens such as viruses, bacteria, and fungus. It can reduce blood pressure [1, 2, 3], and may reduce the risk of Alzheimer’s disease and dementia. It can improve physical performance in lab animals and people with heart disease and garlic was shown to significantly reduce lead toxicity and related symptoms in one study. The ancient Greek physician Hippocrates, often called the father of Western medicine, said “Let food be thy medicine, and medicine be thy food.” He prescribed garlic to treat a variety of medical conditions. Yet, eating raw garlic can result in pungent breath odor, and other concerns such a burning sensation in the mouth or stomach, heartburn, overall body odor, or overall digestive upset. It may be challenging for children to consume as a result. Fermenting garlic in apple cider vinegar not only preserves the garlic but is said to help eliminate most of the complications from eating it raw. Apple cider vinegar is a prebiotic and naturally fermented food that supports and feeds the probiotics existing in the gut, contributing to a healthier environment in the body. Purchase or grow organic garlic and ensure that it is not irradiated. 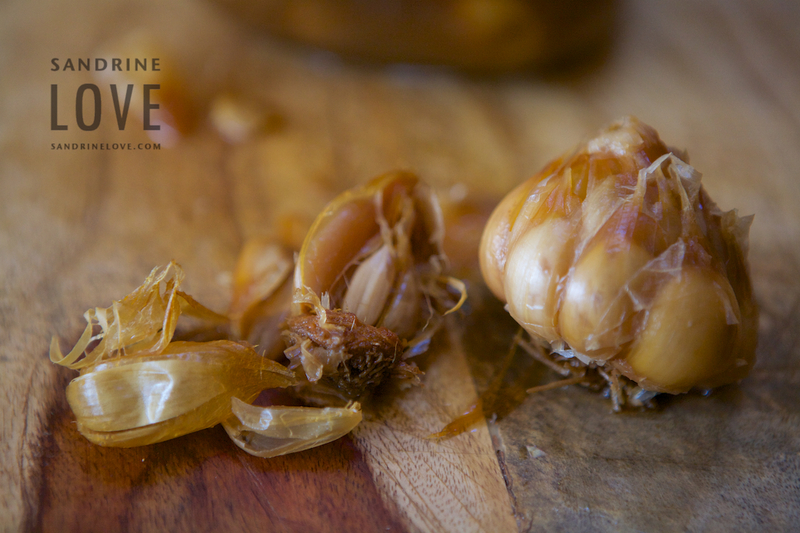 In order to retain the full health benefits of garlic it is advised to leave the bulbs whole and not cut or crush them when preparing for preservation. The allicin in garlic provides its health benefits, and it is released when the clove is crushed or cut open. Place the whole bulb in canning jars. Pour apple cider vinegar to cover the cloves. Raw, organic apple cider vinegar is ideal. Close the lid and leave the garlic at room temperature for as long as possible. The garlic I pictured had been left for 2 years. My mother’s friends has left it for 12 years! Apparently, the longer the more medicinal. The color of the garlic may change as it interacts with the apple cider vinegar. Eventually the garlic will return close to its original color. The longer the garlic is left to ferment, the more mellow the taste will be. I experience the taste of that garlic preserved in apple cider vinegar as tangy, and at the same time somewhat sweet. I think it is absolutely delicious. I like to eat it raw by itself, but it can certainly be added to a variety of dishes. Cultures for Health has a variation on the recipe my mother uses. What has your experience with raw or fermented garlic been? Oh I love this! I ferment garlic (and everything else) in ACV, but I always peel the cloves. ugh. I am so happy not to do that anymore, thank you! I am excited to make some using your method. The best part about fermenting herbs, garlic, fruit, rose hips… in ACV is using the infused vinegar as well for dressings, aoli, marinades… Delicious! I have been doing this for years. Was given the recipe by a friend whose husband is Persian. It just gets better and better the older it is. So far 5 years is my oldest. What is the minimum amount of time to let the garlic ferment before you can consume? Thank you! Cynthia, if you follow the Cultures for Health recipe linked to above, and put in peeled cloves rather than bulbs, they say 2 to 3 weeks. My mother was given the recipe I published and I haven’t tried the clove recipe but, plan to try that one as well! I’m excited to try this with my garlic harvest next year. Just planted the cloves a few weeks ago and they’ll be ready to harvest next June. By the way, there is one small typo: in the recipe it says not to use “irritated” garlic instead of “irradiated”. :) Just thought you’d want to know. Thanks! Will fix the typo! So when do we eat the garlic? I would let it sit in the apple cider vinegar for as long as you are wiling to and eat it whenever you’d like. I’ve been eating it daily after lunch while at my mom’s house. The blog post should have the title ‘pickled garlic’. Foods that are pickled are those that have been preserved in an acidic medium. In this case the garlic is not fermented (even though vinegar itself is the product of fermentation) and hence do not offer the probiotic and enzymatic value of homemade fermented vegetables. I saw this statement in the body of your post as well, and it still isn’t clear to me how the enzymes and allicin are preserved when fermented in ACV. ACV itself is fermented, understood. Understanding the basics of fermentation, how does putting garlic in such a strongly acidic solution preserve enzymes? This is pickling. Acetic fermentation is not nearly as beneficial (in terms of probiotics) as lacto-fermentation as far as I know as it kills many beneficial flora. I would love some clarification here. I found this same recipe through Cultures for Health previously, but noticed that their fermentation book is just a mix of recipes from various other sources, with a fair of redundant, conflicting, or missing information (Great recipes though!). I personally wouldn’t feel confident that all the enzymes and health-promoting properties of garlic are preserved when fermented in vinegar until the method has been tested and proven, so I might stick with a salt brine. Cultures for Health doesn’t have any information on this on their website, and I am not sure they know themselves, if you asked and they didn’t provide you with a more detailed response. Any thoughts? I ferment garlic and raw honey but I will do this today! !! Love my fermented garlic. 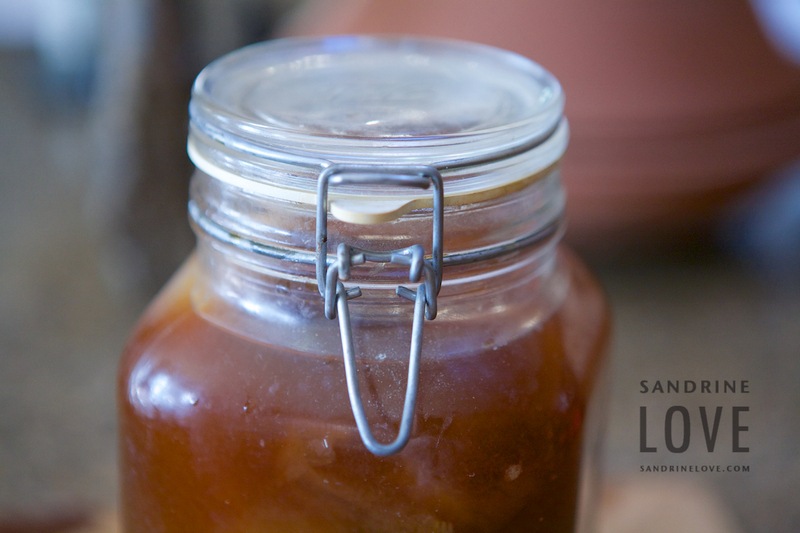 Can you ferment garlic in acv and honey together? I eat them alone, without adding them to anything. Do you continue adding garlic to the same batch or do you need to start over with fresh vinegar each batch of garlic you make? It sounds like the vinegar would also have great benefits. ? I have the same question that Stacey posted – Do you replace the garlic that you eat with new garlic in the same ACV? Or do you make a new batch each time? I make it this way and also with addition of organic tamari. Both are very tasty!! It is an excellent way to get raw garlic into our day! My kids eat minced raw garlic in a small spoon of honey. Its also good on buttered bread. My 2nd daughter would ask for it when she was sick from age 5 up. My younger kids ask for it 3 times out of 10 when Im mincing it for a dinner. We also eat hot pepper vinegar on our food. Put washed and dried serrano peppers (the stems are fine too) in a bottle of raw vinegar, with some poured off first. Shake daily for a couple weeks. In 6 weeks its ready, gets hotter the longer you have it. Add more vinegar as you use it up. I use the same bottle and peppers for a yr or two before replacing.